Yesterday, the day before the starting signal MWC 2015 in Barcelona, ​​two big names in the middle of smartphones unveiled their new flagship, Samsung and HTC. Today, it is in the benchmarks that will illustrate the three terminals, the Galaxy S6, Galaxy S6 Edge and HTC One M9. 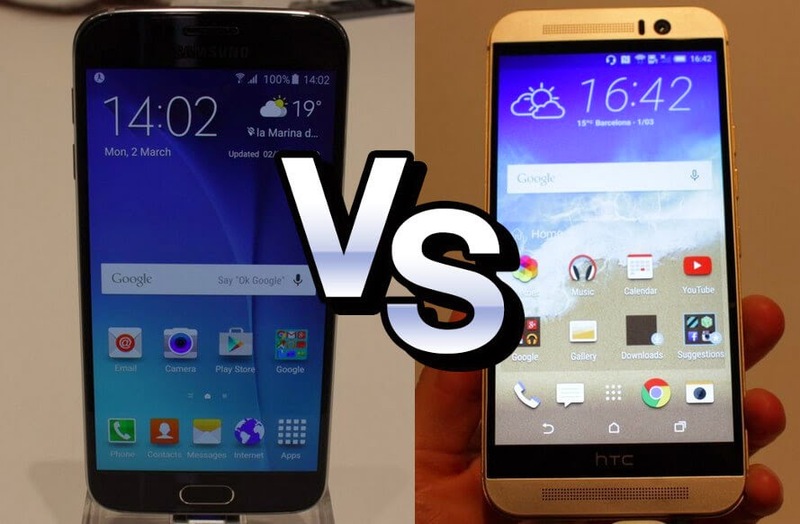 Which Samsung or HTC will win? Annual limit is crossed by the new flagship stores of major brands on the benchmarks. In 2014, all major smartphones were between 40,000 and 50,000 AnTuTu score in 2015, it could go further, really further. First is the HTC One M9 which was tested and he gets a modest score of 55333 is above the current competition, but we would have expected to see more with Qualcomm Snapdragon 810. Certainly benchmarks do not necessarily represent the actual performance of a smartphone, but they still allow to get a vein. The addition of Full HD and non-HD screen with a Quad processor Qualcomm last eight generation cores and 3GB of RAM DDR4 does not suffice to HTC One M9 to drop entirely those of 2014. Read: HTC One M9: all you need to know about the upcoming HTC smartphone! For Galaxy S6 is a different story. Choosing a house Exynos 7420 processor engraved in 14 nm was probably good for Samsung since its two terminals far outweigh the HTC One M9 and do not even mention the rest of the competition. This is a AnTuTu score of 68265 as the Galaxy S6 gets 69384 Score for the Edge edition. That's a difference of almost 15000 points between the two smartphones that are supposed to be direct competitors. The real difference between the two is compared with the performance of their processors, Exynos may have turned a corner, Qualcomm is going to have to worry. Galaxy S6 have passed 2015 in the age of 60000-70000 AnTuTu score, a huge step forward. Of course these scores are not everything, as you all know, the benchmarks do not always correspond to the reality of daily use. It still must be recognized that the difference is huge.